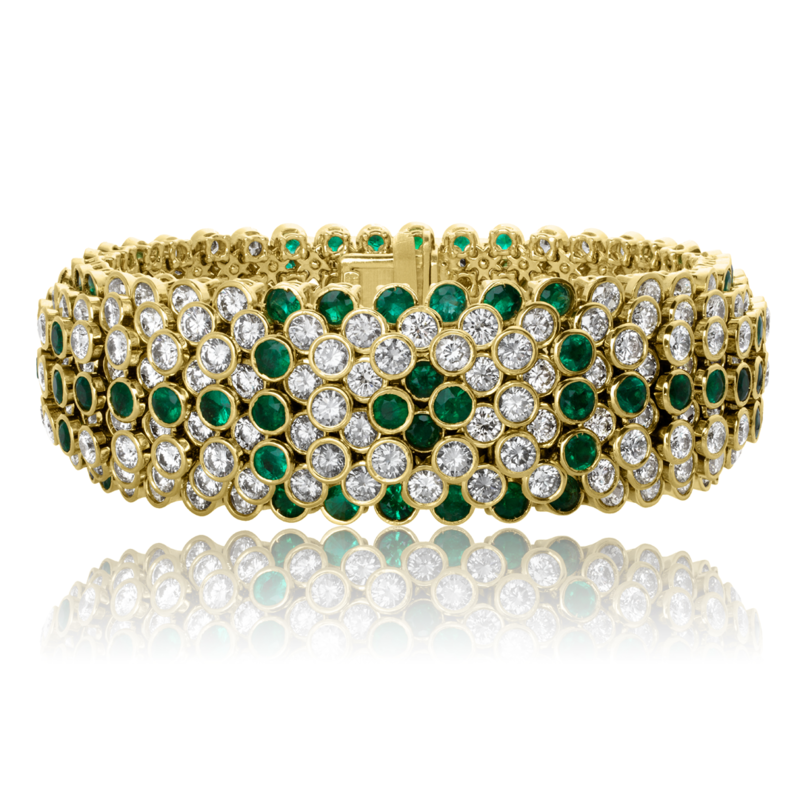 Emerald and Diamond flexible 23mm bracelet set in 18KT yellow gold. 34.11ct. round brilliant shape diamonds and 14.74cts. round emeralds all bezel set in tube settings.